The government considers shedding its remaining investment in GM at a steep loss. 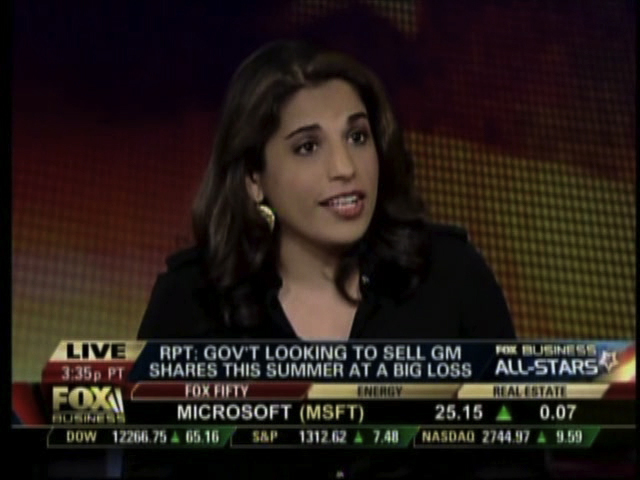 Monica joins Neil Cavuto and the All Star Panel to discuss the implications of a GM stock sale at current prices. This entry was posted in Fox Business, Video and tagged Fox All Star Panel, Fox Business, Gary B. Smith, Gary Kaultbaum, Monica Mehta, Neil Cavuto. Bookmark the permalink.